The kingdom “takes pride in the blessed efforts” of the judiciary and public prosecution. King Salman spoke in the ornate hall of the consultative Shura Council before the country’s ministers, senior officials, military officers and clerics. Prince Mohammed was in attendance and seated next to the country’s top cleric. In the wake of Khashoggi’s Oct. 2 killing inside the Saudi consulate in Istanbul, the 82-year-old monarch put Prince Mohammed in charge of overseeing the reorganization of intelligence services. 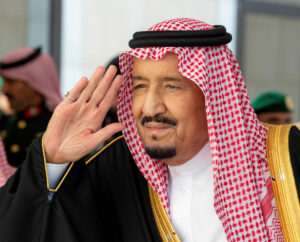 The king’s speech made no reference to that, but he did commend Saudi Arabia’s judiciary and public prosecution for their work in seeking justice in accordance with Islamic law.